What can you do about climate change? The better question might be: What can we do? University of California, San Diego researchers show in a new study that framing the issue collectively is significantly more effective than emphasis on personal responsibility. 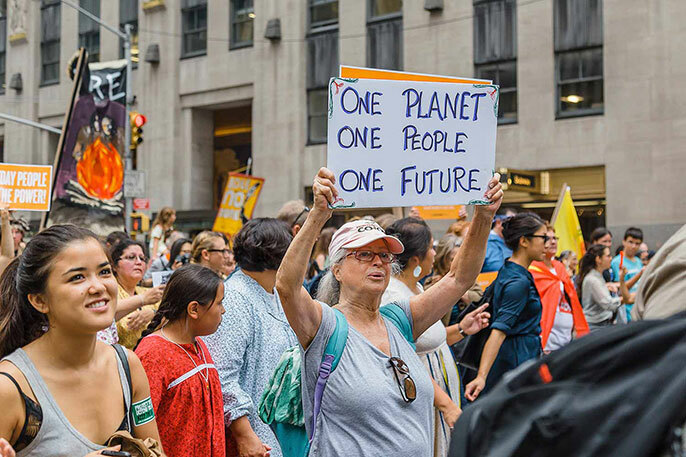 (Click to view larger) Members of the general public who thought about the problem of climate change in collective terms were, relative to control, willing to donate up to 50 percent more. Credit: Courtesy Nick Obradovich, Climatic Change. Climate advocacy efforts often remind people of personal responsibility, as in this EU campaign, but collective frames may be more effective. European Union: "You Control Climate Change"